Weighing Indicator R400-K410-K411-K412 Batching ApplicationsZF Associates Co. The Weighing Indicator R400-K410-K411-K412 Batching Applications supports three (3) batching firmware applications to create a powerful and flexible batching controller. The three variants of firmware differ primarily in the number of materials they each support. The K410 is single material and ideal for filling, the K411 supports 6 materials and the K412 20 materials. The K411 and K412 are both suitable for multi-head batching machines and more complex control systems using multiple materials. 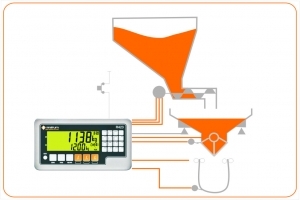 Weighing Indicator R400-K410-K411-K412 Batching Applications Each supports 100 recipes and 10 stages of batching. 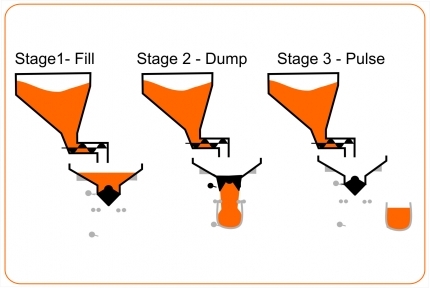 The batching stages can be defined as fill, dump or pulse. 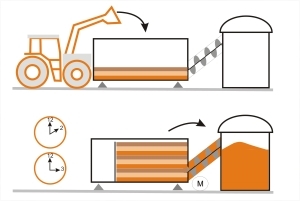 Three (3) speeds of filling can be configured depending on the complexity of the batching system. For example a Recipe can be defined as a FILL with Material 1 to target, followed by a DUMP, followed by a PULSE to release a bag. The FILL stage can use up to three I/O to control slow, medium and fast filling. 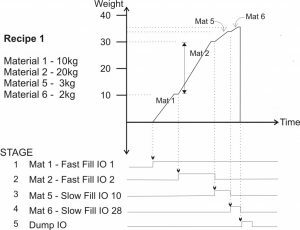 Negative batching is supported by setting the fill direction which defines if the weight is increasing or decreasing while batching – ideal for discharge and dosing applications. Batch Suspend can be allocated to a function key – the batch will pause and adjust the tare weight when resuming the batch. Ideal for when a material feeding the batch needs to be topped up during the batch without affecting the batched amount, or when feeding from multiple bulker bags etc. Timer based multiple batching uses the Real Time Clock to control the batch start time and the duration between repeat batches – ideal for bio-fuel applications. When using timer based batching, the current weight is displayed along with the time to go before the next batch, keeping the operator informed. 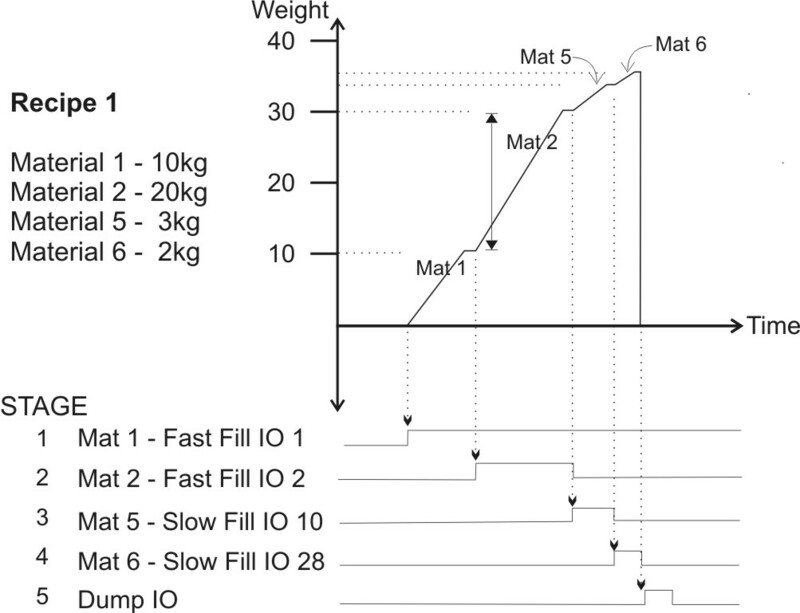 Batching operation flexibility where batch size can be varied by either weight or proportion and the operator can set number of batches to run. 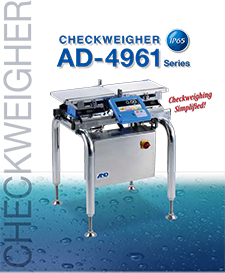 Overall system accuracy with unprecedented filling control with uncertainty of less than 1 millisecond. The 32 I/O control points allow for complex control with multiple set points, enables and interlocks. As the outputs are isolated high side (current source) drivers they are capable of driving low voltage actuators directly or can be connected directly with PLC controllers. The multi-line display shows batch progress, current weight, target weights, material name along with dedicated batch status annunciators. For example in a batch out scenario current net weight and target weight along with name of the material that is being batched is displayed. The following files are available for download for the Weighing Indicator R400-K410- K411-K412 Batching Applications. Ensure you select the correct documentation for your unit’s software version. Check back regularly for software and other updates. 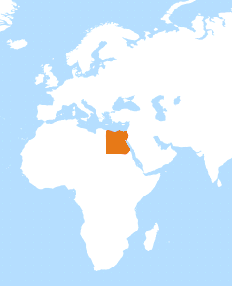 To download files, please click on a filename below.